Congratulations to the Patten Slingers, who won their 2nd consecutive Lincoln Homecoming Wiffleball Championship by defeating the Long Balls 2-0 in extra innings. Thank you to everyone who helped make our 22nd annual tournament happen. It was a great day for Wiffle, and great to see old and new teams alike join us for the chase to the Championship. 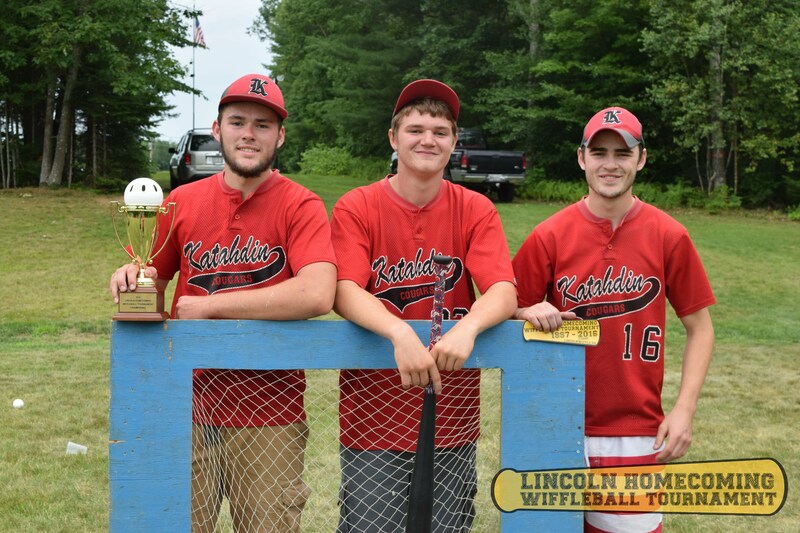 Join us the week PRIOR to the Lincoln Homecoming/Loon festival in 2019 for the 23rd Lincoln Homecoming Wiffleball Tournament! Thanks to WABI TV 5 for a great story about the Tournament!